Björn-Christian Bönkost decided to try his Oculus Rift virtual reality headset in our 1920s Berlin Project sim! I am of course very jealous because I can’t wait to try this myself, but I’ve decided to wait till the commercial version is ready to go public. Björn-Christian was able to visit Second Life with the Oculus Rift thanks to the latest upgrade of the CtrlAltStudio Viewer which recently had this option added. I visited Berlin in 1920 today in second life, with my Rift Dev Kit. The new prototype viewer from ctrlaltdel made this possible. I was impressed, amazed and stunned. The city is bigger than anything you can find as a demo for the rift. The client is still in it´s infancy so after some trials, I decided to go to places in the standard mode and only take a look around in the rift once I got there.The presence and immersion in the environment is one of the strengths. You sit on the bench in the Biergarten,you feel the narrow walls in the back alley. The height of the ceiling in the asta cinema. I was surprised by the size of the cars. I am not exactly small and my feeling was, I could not drive some of these because I instinctively know, I would not fit behind the steering wheel. I visited a library, a gallery and the Volksbad bath house, admiring the design. This is another plus point for this virtual world, Berlin has a constant scale, houses are big and the newspapers and glasses, tables and chair all have the right size. And this is present in every corner I saw, nothing stands out or breaks the suspension of disbelief. I made a video of a rat, I saw on my way, movement certainly adds another layer of realism. I also saw another person on my travel through the city, she walked just behind me and I was a little surprised, when I first saw her eye to eye, so to speak. 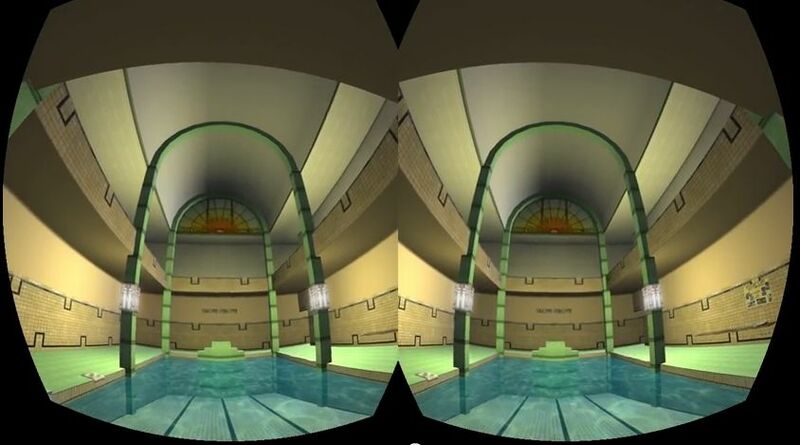 But it reveals one of the main missing pieces, you have no interface in the client in Oculus mode. Another thing is a certain lag in motions, only after setting pre-rendered frames to 1 in the Nvidia control panel it was bearable. I had to leave after I got really sick after 15-20 minutes in the rift. I am very new to second life, I started in 2004, to try this new thing but I logged out right after I saw the first graphics, tried to move and got the feeling this wasn’t for me. I tried again in 2008, just looking around, for maybe an hour to forget about it again. I just started this with the oculus and had for the first time the feeling this will be interesting and was realy excited. I am Björn-Christian Bönkost, I live in Koblenz Germany. I bought the rift for a simulation project I am working on in unity. I got hooked by the dream of virtual reality and read “Ready Player One” and “Snowcrash” in a hurry. In my free time I go rambling with my fiancee and am into photography. Björn-Christian made a few videos of his visit, it is very exciting to see SL trough Oculus Rift eyes. 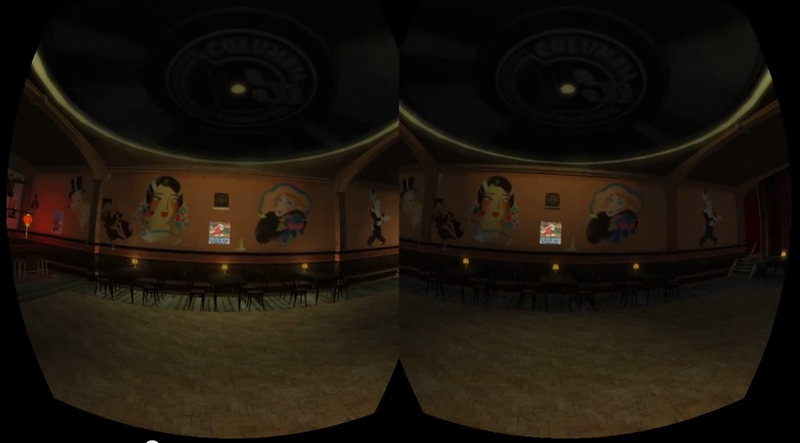 If you own a Rift, you can use it to view these videos and experience a visit to 1920s Berlin yourself.